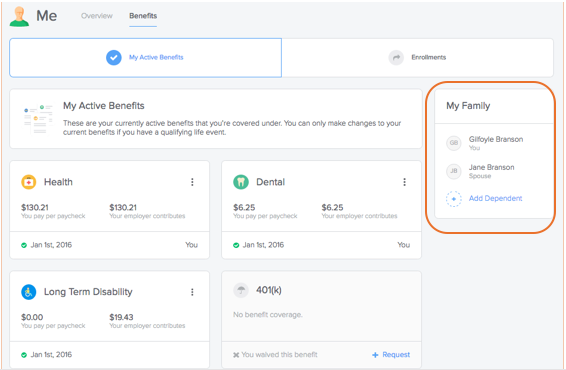 How do I remove a dependent from my benefits? 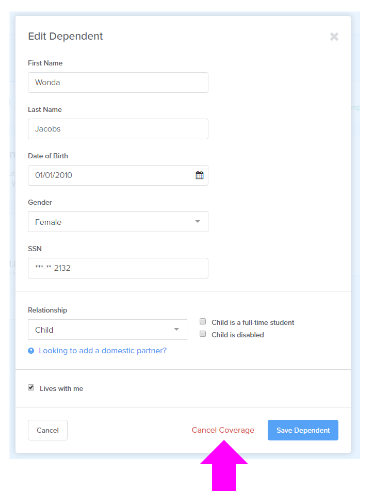 Note: In order to remove a dependent from your benefits, you must have a qualifying life event such as getting married, having a baby, etc. You'll be asked which qualifying life event you had during the remove dependent flow. 5. 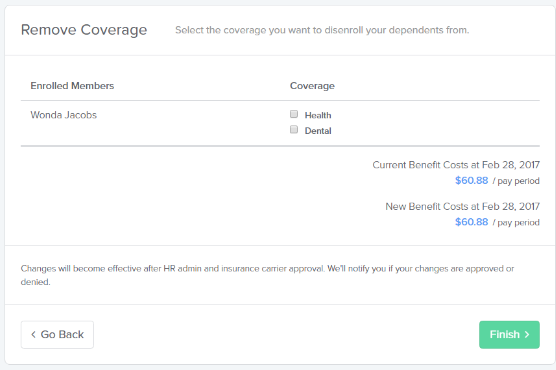 The next page will show you all the lines of coverage that the dependent is currently enrolled in. Check off the lines of coverage that should be removed. 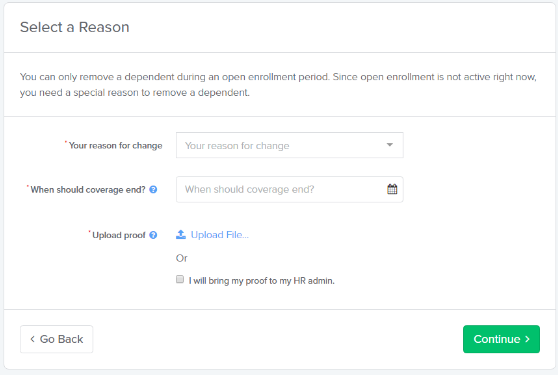 Note: If the checkbox is checked, that means that that line of coverage will be removed. Click Finish. 6. In some instances, your terminated dependent's might be eligible for COBRA or State Continuation. In those instances, we'll prompt you to verify your dependent's address so we can send the proper documentation. 7. You're done! We will submit the change request to the insurance carriers.